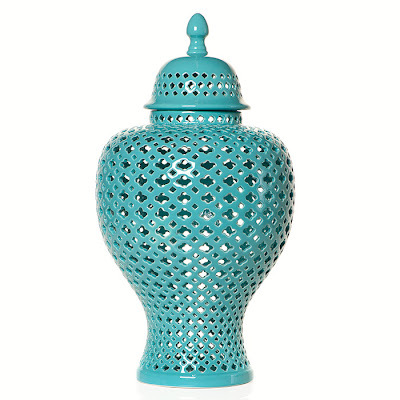 *sigh* ZGallerie - my hear goes *pitter patter* whenever I slip away to their showroom or drool over their web catalog. When am I going to just win a shopping spree there already! So! 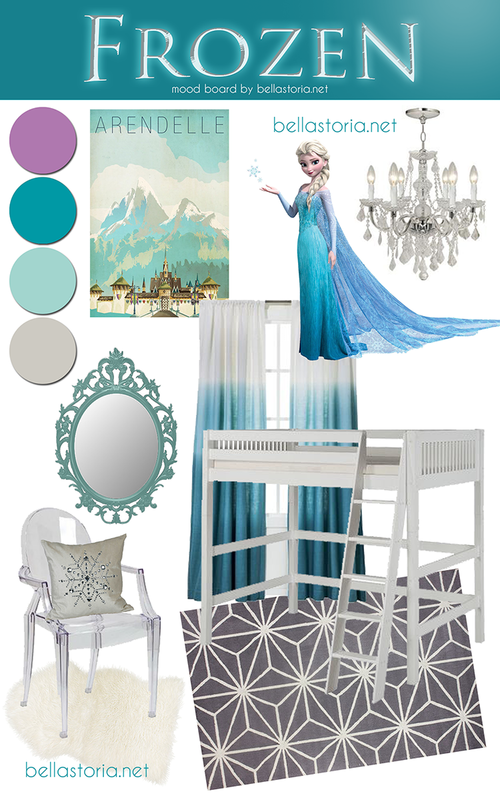 What's a girl to do when you can't afford a new house to decorate? Why, you jump into a little imaginary world of make believe and breathe the fresh air of professional home decor sites and magazines. Oh the visual feast! 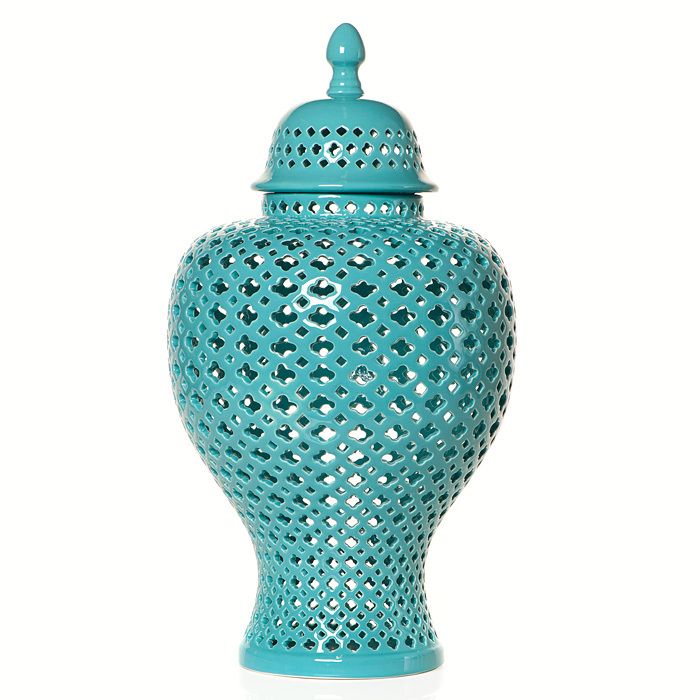 Here's a few of my freshly added spring time favorites from ZGallerie - gorge! 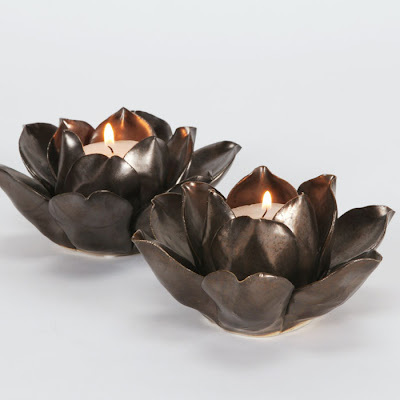 These lotus flowers are so, so pretty! They look ORB to me (aka. oil rubbed bronze - took me weeks to figure out that one in Blogland - you're welcome). 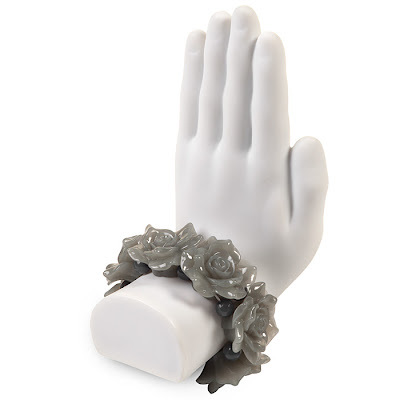 ;) I just bought some very similar from JoAnne's in white - love them! Okay, so I think the whole Keep Calm and Carry On/Cupcake On/Laundry On/Blog On/etc. is cute, and I like the British reference and all, but I haven't gone so far as to make or buy a print to display in my kitchen/hallway/bathroom/etc. 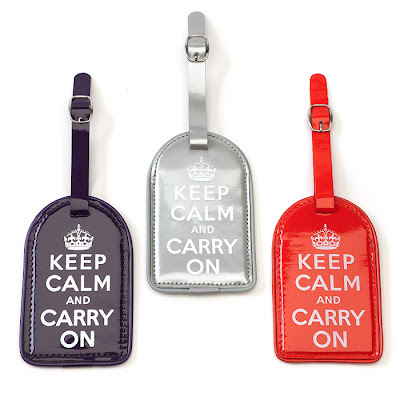 However, I could change my tune for a set of these super fun luggage tags. These totally make sense! 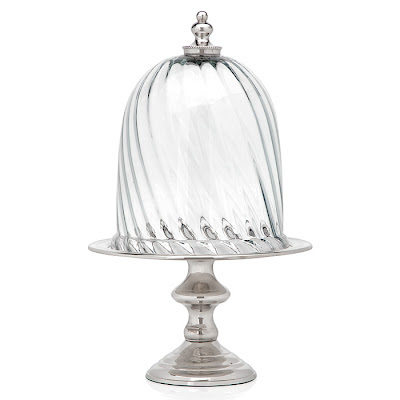 Isn't this just about the sweetest cake stand ever? You're lying if you don't think it's pretty...and totally inspiring you to go buy some glass candle holders, a funky thrift store vase, and get your glue on! You know you've tried it...or wanted to! 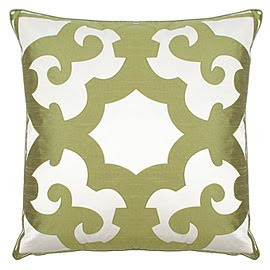 Gotta love this simply chic pillow. It's the perfect spring green! Plus, it looks so silky...Mmmm. This bracelet just makes me happy. It's chunky, funky chic, and floral! Gimme! Be still my photo lovin' heart! 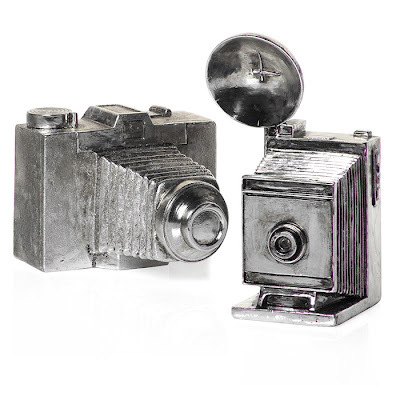 I am totally enamoured with these vintage inspired silver cameras. 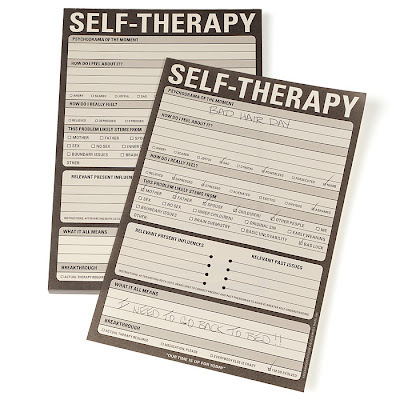 And for only $9.95 each, you gotta get 'em both! I'm thinking to put them under a, you guessed it, cloche on my coffee table. Ahhh yeah! It's under glass! Pottery Barn, eat your heart out! And finally, um...helloooOoOooo gorgeous! 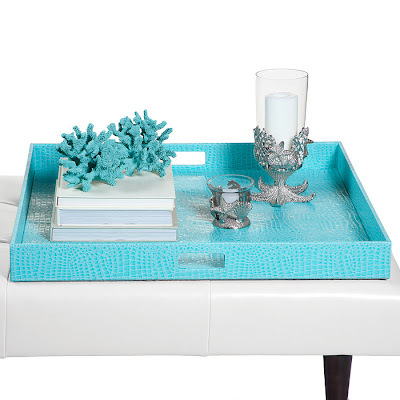 This set up just speaks to me: the brilliant turquoise faux skin tray, the funky starfish candle holder, the white paper wrapped books, even the funky bright coral piece - it's all so fun!